Snapchat might be the newest social media tool pretty much everyone, including celebrities, are joining, but there is one particular person who is so not a fan. 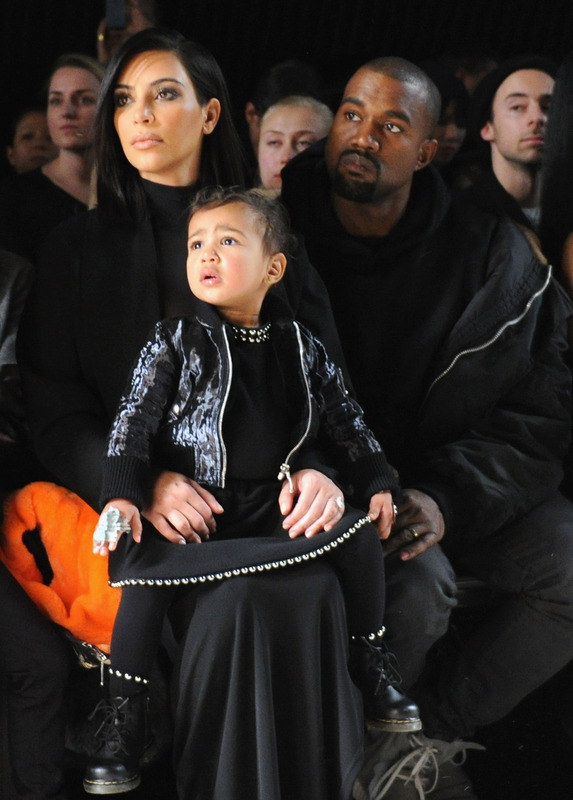 Kim Kardashian and Kanye West's daughter North West is scared of Snapchat. I think it's safe to say she won't be snapping in the future. Anyone following Kim on Snapchat can see the two snaps (before they automatically delete after 24 hours) featuring her 2-year-old daughter. As cute as they are, you can definitely hear and see the fear Snapchat has instilled her. There is a video snap, where North expresses how terrified she is of Snapchat. At first, Kim is confused, but then realizes her oldest child doesn't like the filters. Hey, North, I feel your pain and don't blame you one bit. Some of the filters definitely aren't kid-friendly. Plus, when there are filters of an evil bunny, ones that distort your face, and another that makes you look like a scary zombie, you can understand why most children would be frightened. That said, it didn't stop Kim from taking a snap with North. As you can see below, the photo reads, "Not a snap fan. Scary filters." In addition to Kimmy giving her best kissy face, next to her is North looking beyond terrified. I mean, check out her face! The poor thing. I'm an adult and some of the snap filters even scare me, including that killer bunny. Here I thought I was going to look like a cute bunny and then next thing I know the bunny has sharp teeth, bloodshot eyes, and is screaming at me. Seriously, it's enough to scare both kids and adults. Oh, and is anyone else also freaked out by that filter that swaps your face with someone else? It gives me the heebie jeebies just thinking about it. North, know you're not alone in thinking Snapchat can be scary at times. I feel you, girl.